UPDATE MARCH 2018: Writing in March 2017, Kerry Addison, TSP Commercial Property and Agriculture Solicitor, discussed the Government’s response to the Rural Planning Review. On 12 March 2018, Dominic Raab, Housing Minister, announced that the extension to permitted development rights, which had been detailed in the Government’s response, will come into force on 6 April 2018. Permitted development rights allow certain building works and changes of use to be carried out without the need to make a full planning application (www.gov.uk). The changes mean that five new houses can be created from agricultural buildings without a full planning application, rather than the three currently permitted. Additionally, according to the Government press release “The new measures will also help farmers adopt the latest innovations in modern farming practices by increasing the size limit of new agricultural buildings on larger farms from 465 square metres to 1,000 square metres.” You can read the press release in full here. 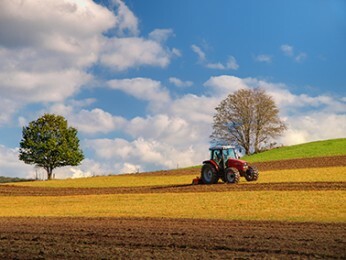 The CLA which represents landowners, farmers and rural businesses, and of which Thompson Smith and Puxon is a member, said “We are committed to making the planning system easier, faster and more cost effective. Converting farm buildings into homes has been a success story of recent years and the Minister’s commitment to permitted development rights is a further breakthrough in the CLA’s long-running effort to ensure the policy works for rural landowners and farmers.” You can read more about what the CLA had to say here. Kerry Addison, Agriculture and Commercial Property solicitor at Thompson Smith and Puxon (TSP), discusses the Government’s response to the Rural Planning Review (February 2016) in which they asked for comments on the current planning system in rural areas. The review covered permitted development rights for both residential and commercial development of existing agricultural buildings as well as seeking views on the effectiveness of the planning system. Respondents were asked to comment on the need to increase the supply of rural housing and whether there should be extended permitted development rights of agricultural buildings for residential purposes. The Government’s response, published in February 2017, will, if the proposals are implemented, allow change of use for agricultural buildings up to 750 square metres in size provided that a maximum of five houses or flats are created and that the size of each house or flat does not exceed 150 square metres. Farmers and landowners with agricultural buildings they no longer require for agricultural purposes will be able to convert properties that conform as part of this initiative. Expanding the permitted development of agricultural buildings will be advantageous to some landowners who have finance in place to carry through the project themselves. They should be able to keep a greater degree of control over the style and timing of the development, and costs, depending on the type of conversion, may be more reasonable. Following a conversion, some landowners may be able to offer Rent (Agriculture) Act Tenants, who may want or need more modern living space, suitable alternative accommodation, giving the landowner the flexibility of then renovating and either selling or letting existing larger properties. Even where workers are not protected tenants, being able to offer suitable and convenient accommodation, whether under an assured shorthold tenancy or as a service occupancy, may be of benefit in rural areas where rental prices are very high. In the Housing White Paper “Fixing our Broken Housing Market” various measures had already been set out including encouraging the development of small sites, which may provide tempting development opportunities, on a more manageable scale, for some landowners. Although some opportunities already existed using Rural Exception sites, this required working in partnership with a Housing Association and was dependent on the availability of funding and proving housing needs in the relevant parish. In summary, converting redundant farm buildings and a greater flexibility for carrying out small developments may prove to be more acceptable in many rural areas rather than building large numbers of market value dwellings which would have to be built to provide a set percentage (usually 30% of the total to be built) of affordable homes.